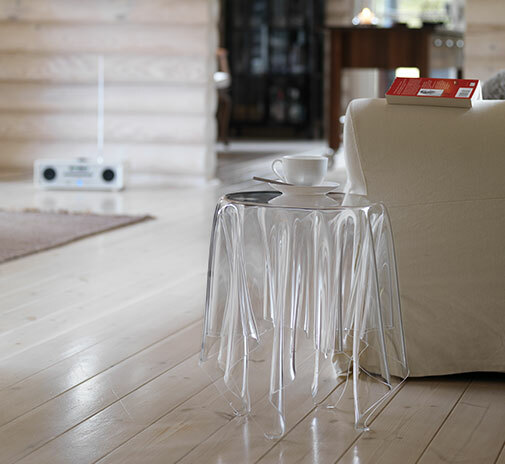 Illusion is a handmade side table of 3 mm acrylic. All Illusion tables are handmade, individual and unique.The design gives the impression of a table cloth on a round table. However, the object uses the structural strength of the folded material to create a magical and surprising experience - an illusion.